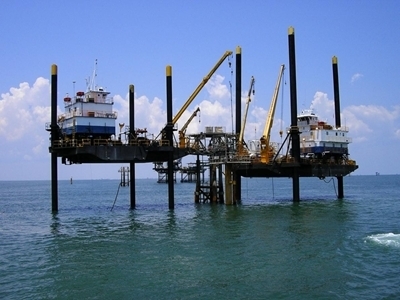 Dwight Ducksworth filed the suit June 17 in the Galveston Division of the Southern District of Texas against Hercules Offshore Inc., based in Houston, after an accident on board the marine vessel Hercules 263, an oil exploration vessel owned by the defendant. According to the complaint, on Oct. 1, 2014, the plaintiff was working on the ship when he and co-workers were moving a basket, suspended by a cable attached to a crane, that weighs nearly 12,000 pounds. The basket struck his right shoulder and pinned him against a post. After he got free, the plaintiff says he immediately reported the injury but that he had to stay on the vessel an additional six days. He later was seen by his physician, who prescribed medication and physical therapy. After those didn't alleviate the pain, his physician recommended surgery and on Feb. 4 he had a cervical fusion. The plaintiff says he continues to suffer from pain. Claiming the unseaworthiness of the Hercules 263 and negligence on the part of the defendant, the plaintiff seeks a jury trial as well as a judgment for damages, future loss of wages, court costs and attorney fees. The plaintiff's attorneys are Daniel Charest and Warren Burns, of Burns Charest LLP in Dallas. Galveston Division of the Southern District of Texas case number is 3:15-cv-00152.